The Utah Scientific Router Control System is at the heart of all Utah Scientific switching operations. In addition to controlling any of the current or legacy Utah routing switchers, the router control system provides interface capability to many third party control and switching systems. Because of all products modular design and advanced software, the UTSCI control devices can easily adapt to any application, from simple standalone applications to the most sophisticated control systems. 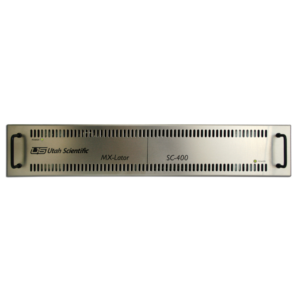 The 2RU SC-4E enterprise controller is the most flexible and comprehensive controller in the SC controller series, with multiple Ethernet, serial, U-Net and sync reference inputs and is the primary choice for TV stations and truck systems. 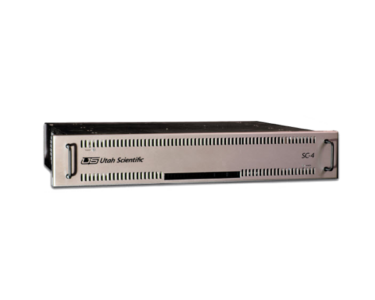 The 1RU SC-40E is our most cost effective controller designed to t nicely with our economical UDS and UHD routing series but still offers all the features of our mid-range SC-400 controller. 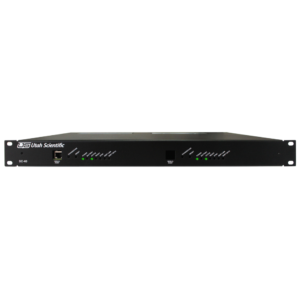 SC-400 provides a more economical controller for customers with simpli ed routing operations and limited connection needs. 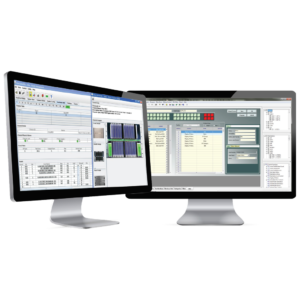 The MX-Lator and UCI-400 Control Translation Units are designed to provide a simple, reliable, and cost-effective way to integrate external devices into an SC-4 / SC-400 control system. The MX-Lator is capable of maintaining a memory image of a remote router, allowing the remote router to be fully integrated into the Utah Scientific control system, even in the absence of a full bi-directional control capability in the external router. Setup for all of the Utah Scientific SC Controller Series and control panels is accomplished using the intuitive Ucon graphically-based software that is provided standard with all systems. Ucon provides all the tools to de ne the system configuration and to make changes very simple for your operation.